You can pick a designer version up from the Conran Shop for around £850 – or you can head to John Lewis for their Bow Floor Lamp. From a distance, it’ll have your visitors fooled, close up it’s shorter and with a less substantial base. 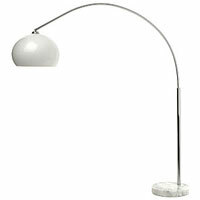 But it’s still a very attractive lamp – and at just £280, you can pick up three for the price of the designer version. Do you have more afordable option?